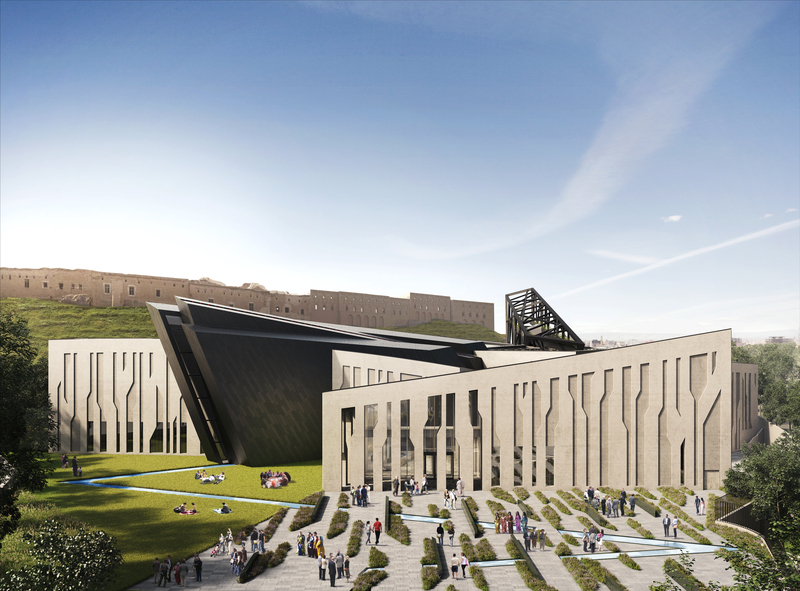 Just this Monday on April 11, Studio Libeskind announced a major controversial new project: the New York based firm is designing a museum to document the art and culture of the Kurdish people, the first of its kind. 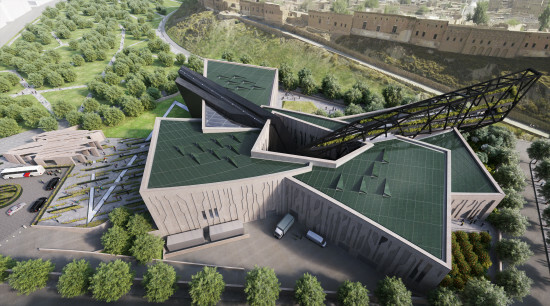 The Kurdistan Museum will be located in Erbil, Iraq, below its historic Citadel—the city’s original center and a World Heritage Site that some say is the longest inhabited town in the world. The unveiled renderings reveal architect Daniel Libeskind’’s famous sharp edges and strict angles that create a sense of openness and claustrophobia at the same time. 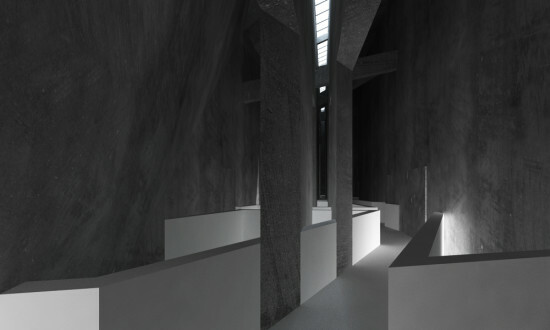 (One his well-known project is the Jewish Museum in Berlin). 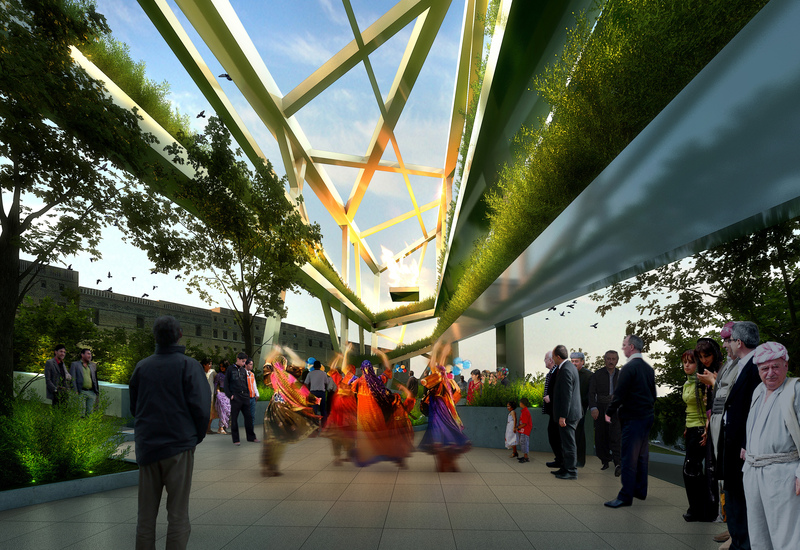 The design for the 150,000 square foot museum features four wings or “fragments” that meet at the center. They represent the four major homes of the Kurds: Iran, Iraq, Syria, and Turkey. 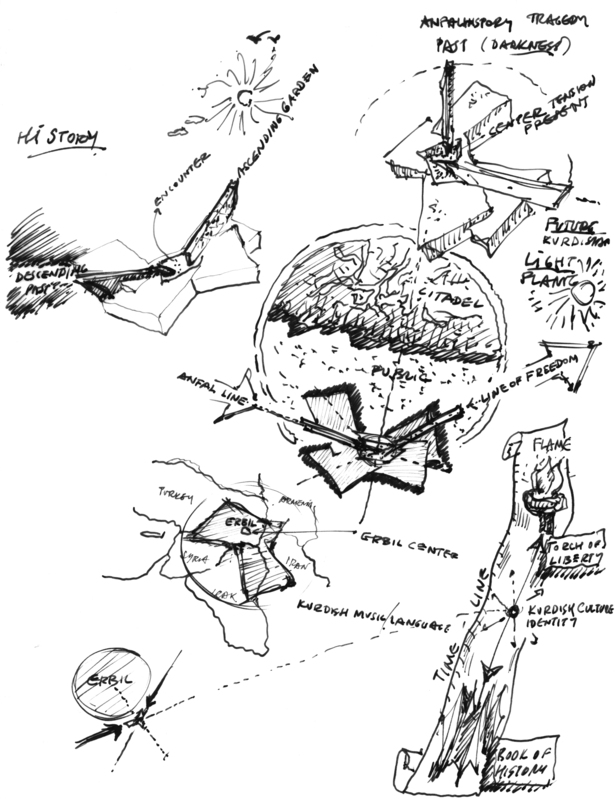 There are also two paths, a concrete one that the architect calls the Anfal line to represent Kurdish genocide, and the other, a latticed form rising above a garden path, with an eternal flame to represent freedom. 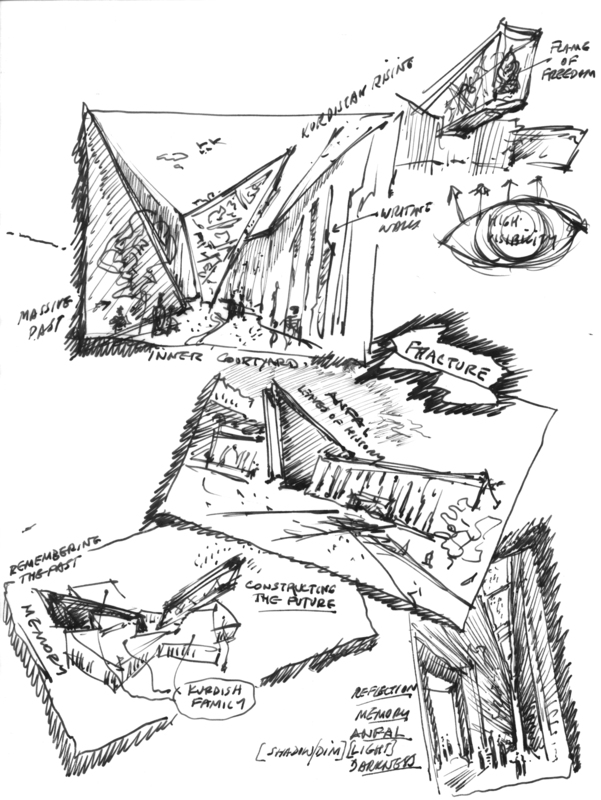 Libeskind’s schematic sketches highlight the struggle of the nationless Kurdish people—and how to give form to their past and present, while looking towards the future. In one sketch, Libeskind noted a fracture. But he said there’s also resilience, freedom, and the importance of memory and reflection. “The design had to navigate between two extreme emotions: sadness and tragedy, through the weight of history, and of joy and hope, as the nation looks to the future,” he said in a statement. 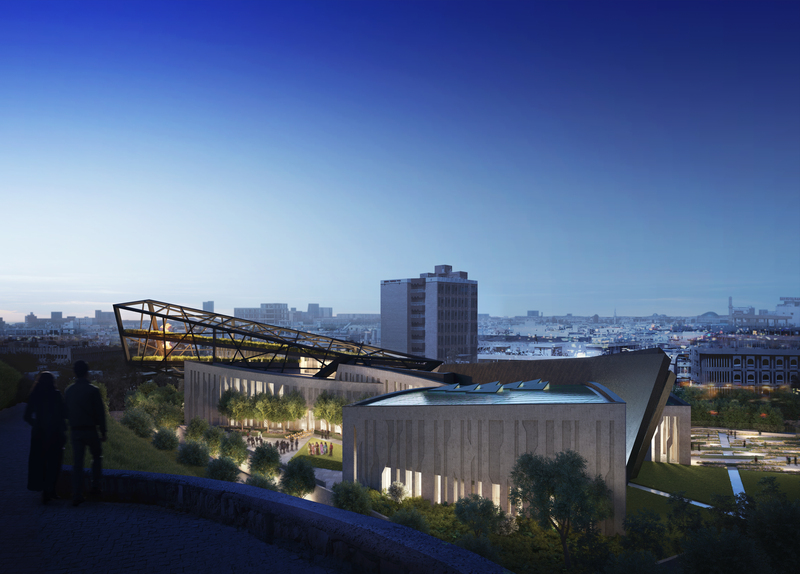 The museum will hold galleries for permanent and temporary exhibits, as well as an education center, a community space, and more. The Kurdistan Regional Government, along with film and multimedia company RWF World (the client representative), is backing the project. But due to the political nature of the project, funding for the $250 million museum has yet to be secured, with funds being directed toward the current war effort.